These holiday insider tips are designed so you don’t have to give up much of anything this holiday season. You can eat the cookies, the chocolate truffles, the sweet potato pie…the mac n’ cheese, a nice dinner, and just about anything else your taste buds so desire. In fact, you can actually use ALL of those foods to unlock your ultimate fat burning potential and LOSE a massive amount of body fat this holiday season, all while never saying “no” to a holiday party, meal, or dessert. The entire approach is based upon “tricking” the body into elevating metabolism and burning more fat through periodic, planned dietary deviance (PPDD), or simply put, scheduled, strategic “cheating”. And I promise you, when you learn to master this one skill, you can, and you will, write your own fat loss ticket this holiday season…faster and easier than ever before. But, I don’t want to be too unrealistic here. While you’re pretty much going to be free to indulge regularly at holiday parties and meals, there may be one, or two, events that do not fit into the strategic scheduling. And for those potential one or two occurrences, I’ve compiled a list of tips that you can use to make each event as painless as possible. Don’t know what to eat at the buffet set up at the holiday party? I’d bet that there’s some turkey, or ham or possibly shrimp cocktail. Eat it (turkey, ham, chicken, etc.) until you’re full. Protein is filling and by filling up on lean protein, you’ll avoid some of the anti-fat loss foods on the buffet. Protein helps your body process carbs by stimulating the release of a hormone that helps to control blood sugar and reduce the fat storage properties of insulin. Bottom line: if you do eat some carbs, the carbs will have little effect on your waistline. More importantly, you’ll be satisfied. I don’t count calories myself; however, I realize that some people may count calories. At the end of the day, if you burn more energy than you eat, you will lose weight! Calories in drinks are wasted calories. They do nothing to increase your fullness; most have little to no nutritional value and can very easily add on a serious amount of caloric damage. If it has calories, don’t drink it, plain and simple. If you’d like some variety beyond plain water, go with flavored or sparkling calorie free water. Just please, do NOT fall victim to 500 calories of fat-storing high fructose corn syrup. Simple avoidance is the best benefit. While we’re on the topic of beverages, here’s a great tip to go into any holiday party with. As soon as you arrive, before you do anything else, pour yourself a big glass of water, drink it down, and wait 15 minutes before eating anything. Mingle with the crowd, say hello, etc. This is a simple, extremely effective way to curb your appetite and give yourself a sense of fullness before heading to the dinner line and is sure to make a difference in the amount of food you end up adding to your plate. Many times the parties we attend throughout the holidays are “potluck” style where each person is responsible for bringing their own dish. If you’ve ever worked in an office, you know what I’m talking about. This is a great opportunity for you to contribute something healthy to the table, and in turn make it extremely easy for you to make a healthy choice. This way you KNOW exactly what’s in it and how it was prepared, and a reminder that everything that looks healthy isn’t. Even if the party isn’t potluck, bring something anyway. Besides, I haven’t met a host yet that doesn’t appreciate help when it comes to feeding the guests. This is an easy practical & effective way to avoid falling into temptation! You may have heard the recommendation to never go to the grocery store hungry or you’ll just end up buying everything in sight, spending way too much money, and making a bunch of unhealthy choices because everything looks “so good”. Well, I’ll give you the same suggestion for holiday parties (again, this is for the one or two that don’t fall on your holiday “free choice meal” schedule). Instead of showing up with your stomach growling and ready to tear into the first dish you see, Make sure you arrive FULL. How? Easy! Eat a BIG, healthy meal just prior to heading to the party. When you arrive at the party full, all of a sudden all those desserts don’t look as good as they would if you had an empty stomach. These are easy, super effective ways to avoid falling into temptation. To avoid the “damage” of a big meal or party, most people don’t eat anything else all day leading up to the big event in order to “save up” the calories. Secondly, eating nothing only to follow it up with a big, high-bad fat/high-carb/high-calorie meal leads more of those calories than normal being stored as fat….which is the opposite of what you want, right? Don’t shoot yourself in the foot by starving yourself all day. Eat as you normally would and then hit up the party. One of the things I teach my clients to do is “prep” for a big day full of food with a depletion workout the day before. You may or may not know, but there’s plenty of “food” stored within your muscles in the form of both carbohydrates and fats. Carbohydrates (when stored in muscle, called “glycogen”) and fats (when stored in muscle, called “intracellular triglycerides”) are stored within muscle tissue as an energy source to fuel your movements. Fat is a slower energy source, so something as simple as doing a lot of walking, dancing, etc. the day before a party is a great way to deplete some of your intracellular triglyceride stores. Stay with me, there’s a tip here! As for glycogen depletion, go with something similar to circuit-style weight training. Keep the load medium to light (beginners) & medium to heavy (intermediate/advanced), do a good amount of reps, and really “go for the burn”. Going into a big meal with depleted intramuscular energy stores (brought about by energy-depleting exercise) will lead to most of that meal refilling those stores as instead of being moved onto your waist, hips, and the good ol’ gluteus maximus. Don’t get me wrong, I like to have a glass of wine from time to time, so I’m not going to tell you to completely give up alcohol throughout the holidays. But, what I will suggest is that the majority of your beverages at holiday get-togethers be of the non-alcoholic variety. Alcoholic beverages are the easiest way to add unnecessary calories to your daily caloric total, and unfortunately, it doesn’t end with just the calorie total. Excessive alcohol intake also creates a hormonal environment in the body very conducive to fat storage, making those calories much more likely to negatively affect the number that shows next time you step on the scale (if you weigh yourself daily). So, what’s “excessive” or “how much is too much”. Well, I think we all know that. If you’re regularly getting “tipsy” or drinking to the point of intoxication, then you’re physique is going to take a hit for it. Enjoy a (non-sugary) drink or two when appropriate, but stick with non-calorie beverages otherwise. Sometimes you just want to enjoy what’s available without having to be picky or limiting your selections. Use dessert sized plates. Yep, just go ahead and grab a plate from the dessert line and then head over to the “dinner” line. Controlling portion size just happens to be one of the best ways you can regulate calorie intake without giving up your favorite foods. Smaller plate = smaller portions, and with smaller portions come fewer calories across the board. People tend to overeat and eat beyond the point of “fullness” when they have large portions in front of them. With the smaller plate option, you’ll likely be content when you finish without “mindlessly” stuffing yourself just because the food is there in front of you. Learning to be selective will prove to be a helpful skill when approaching holiday meals, parties, and buffet lines. Simply put, you don’t need to eat everything that’s there. If we’re being completely honest, we probably don’t even really like everything that we toss on our plate and instead just include it because it’s available. So, here’s another valuable suggestion: If you don’t absolutely love it, don’t eat it. As you go through the line or as foods are passed along the table, only dish out your absolute favorites while skipping over the selections that you can probably do without. In addition to picking your favorites, whatever veggies are available; pile them on your plate. They’re filling, will compliment the other items on your plate, and will easily help you adhere to tomorrow’s rule. Most of the weight we put on during the holiday season comes from the second (and sometimes third) helping, not the first. I know it’s easy to go back in for more, however a great way to cut out half the calories you’d normally eat at a holiday meal or dinner is to limit yourself to only one helping. So, go ahead and fill up your plate (remember, we’re using smaller plates), but once you’re done, you’re done. Adhere to this one rule alone and you’ll automatically cut in half your calorie intake this holiday season. Here’s perhaps the easiest way to avoid going back for seconds. When you arrive at a party or sit down to the table, let people know what you’ve committed to. People respect that and they’ll back you up. 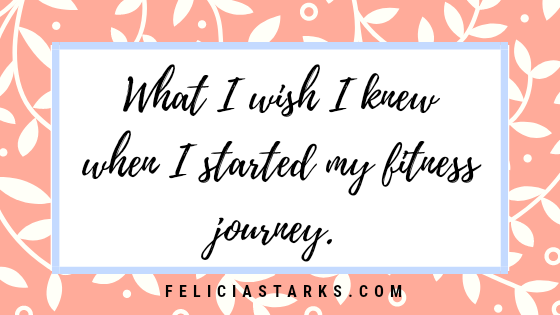 From there on out, you never have to worry about people who “don’t know” your goals constantly offering you food, and beyond that, it’s a huge source of accountability for you. I can guarantee that when you put this simple Holiday tip into practice, you won’t even think of going in for seconds. It’s extremely easy to resist once you give people “expectations” for you to live up to. Tip #13: Chew, Chew, Chew. You may have heard this one before, but let me ask you this. Do you ever really make a conscious effort to take your time between chewing? A good rule of thumb is to chew your food at least 20 times before swallowing while giving yourself a bit of a breather between bites. Trust me; the food WILL still be there! Eating slowly and with a high chew-count gives your body time to realize it’s getting full—in the end you’ll be just as content while eating less food. Consciously give it a try, and I guarantee it will make a difference. You’re going to consume more calories from November through January than you normally would at other times of year, even if it’s just moderately more—that’s reality. A natural alternative is to increase your physical activity to burn fat. Walk more, move more, throw in an extra gym session or stay a bit longer than usual—whatever you can do to be more active and burn more fat during this time will go a long way. In addition to the “announcement” tip above, another great way to establish accountability is to keep a food journal and daily exercise log. While you may or may not be used to doing this, during times where it’s easy to go off track, keeping a journal of some sort is exceptionally helpful to keep you in check. There’s just something about having something in writing and tracking your progress simply throughout the day that makes you that much more apt to “stick to it”. Serve yourself only “half” first, filling up the plate half-way and then taking time to sit, eat slowly, chew, and enjoy what’s there. Then, you have the added bonus of being able to go back for the other half! It’s so funny how simple psychology works, but even though it’s the same amount, you just feel like you’re eating more when you’re able to “go back” for more. These 16 tips are for the minority, not the majority, of meals and parties that you will be sitting down to and attending this holiday season. P.S. If you’re looking for help with getting your nutrition in line with your goals? Click here to find out more about my Stark Naked Nutrition Program and how you can start working with me! 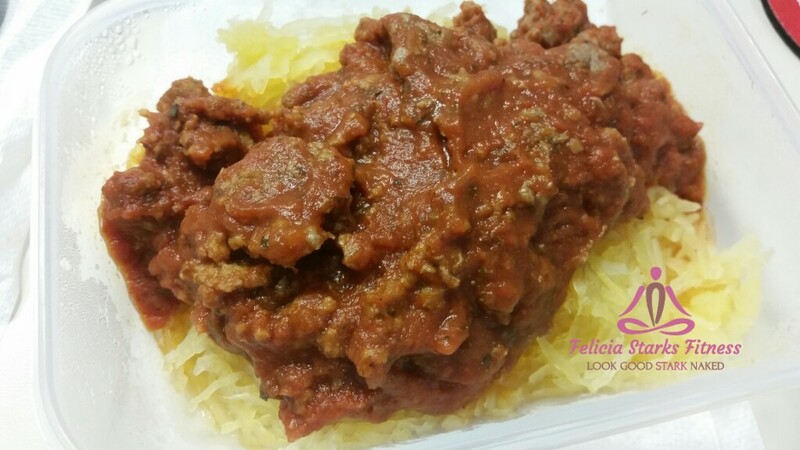 Previous StorySpaghetti Squash You and Your Kiddos Will LOVE!